Do you need quality sewer repair in Portland? There are so many options today for sewer repair in Portland. 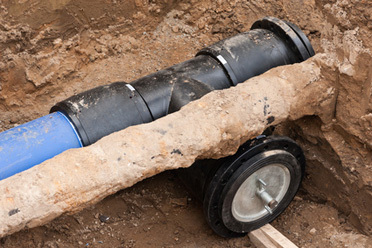 With trenchless repairs, traditional, and others, going through the options can be overwhelming. So which one is best for you? The Excavators, LLC can help! When you give us a call, we’ll work with you to find out which style is ideal for your particular issue. And we’ll always give you the best value around and make sure that the job’s done right. What kind of sewer work might be needed? At times it’s possible to use a directional drill for a sewage work. It is also often possible to sleeve existing sewers to avoid digging the entire line offering easier repair to the sewer system. There are times when fully digging a sewer line is required. Whatever the need or the job demands we work hard to minimize the damage to yards and landscaping. Concrete or asphalt can also be repaired or replaced as needed. 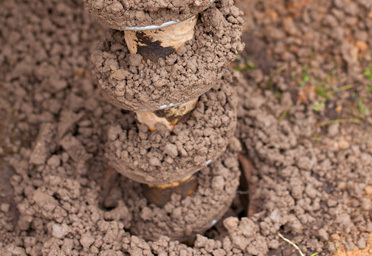 Trenchless excavation is less invasive and doesn’t require digging up your yard or property. If trenchless excavating isn’t possible, often vacuum excavation is, and has less risk of causing damage. Directional drilling can limit disruptions to normal operations, saving money and limiting frustrations. Since many parts of Portland utilize party sewers, they often present many challenges that can quickly become complicated. As an experienced excavation company, we’re prepared to handle everything from excavation to repair. We’re familiar with the inspection process and work alongside city planners in order to repair problems in a manner that is most beneficial for our customers. We have years of experience with repair and installing sewers in the Portland metro area, and have seen the wide range of materials installed over the years and are prepared to handle any kind of septic system. Our combination of experience, value, and service in Portland can’t be beat by anyone in the industry!